Visitors to the Blue Planet Aquarium at Cheshire Oaks are set to be entertained over the festive period by a scuba-diving Santa Claus. Blue Planet Aquarium’s Andy Hygate said: “The highlight of many people’s visit is our regular shark diving talks and feeding displays in the giant ocean display. “We’re hoping our sub-aquatic Santa will add a real festive twist to the experience and will prove to youngsters there really isn’t anywhere Father Christmas can’t deliver presents! 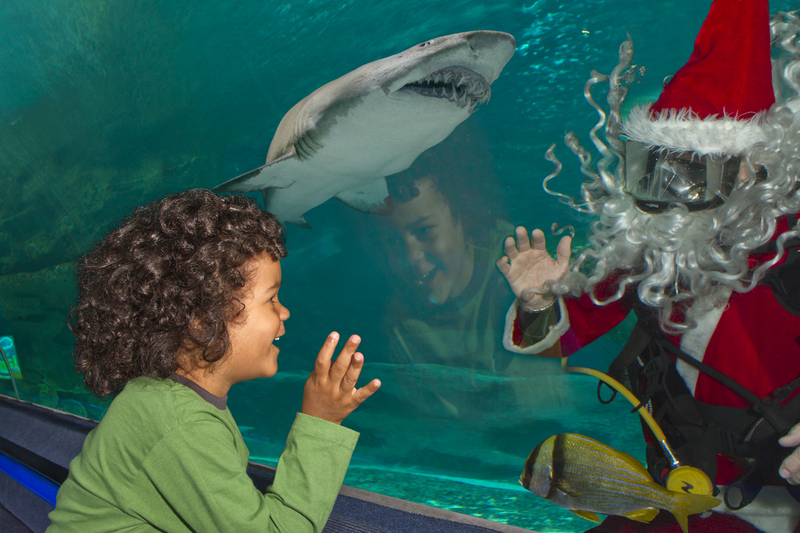 Diving Santa will be taking the plunge every weekend from Saturday, December 1st during the aquarium’s regular dive shows and will be diving daily from December 17th – 24th.